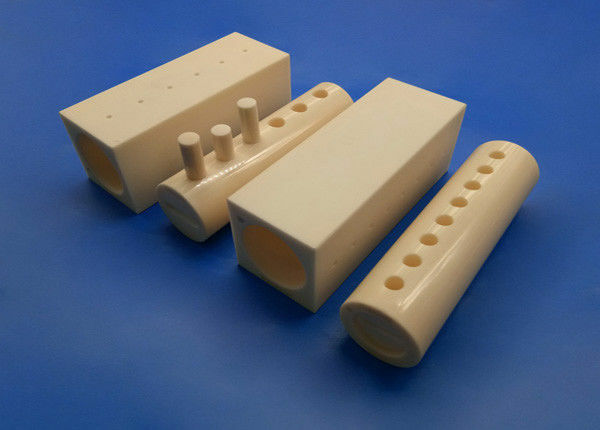 Alumina is an excellent high temperature ceramic material due to its high temperature stability. It is the most commonly used type of advanced ceramic and is available in purities ranging from 95 – 99.9%. Precision Ceramics has access to many different types of Alumina including: injection molded, die pressed, isosostatically pressed, slip cast, and extruded. Al2o3 Ceramic oil valves will be wraped in paper first individually, then packed in bubble bags, finally put in standard export carton packing, or OEM packing..
Mingrui has yeas of professional OEM experience in manufacturing industrial ceramic parts. We can make the products according to your drawings, custom the size, thickness and other parameters. One-stop production, from the raw material ( powder ) to final products, control the quality strickly of every production link.